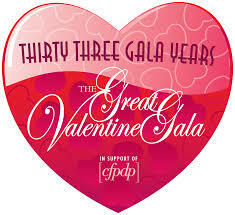 The Great Valentine Gala will be hosted by CFPFP (The Canadian Foundation for Physically Disabled Persons) this coming February. This event is the CFPDP’s Number 1 fundraising event. It has raised more than $27 million and is the largest event for CFPDP every year. The CFPFP has hosted over 25,000 people at this event since 1985 when they started it, giving people priceless opportunity to change the way they think about people with disabilities. It helps participants build awareness. It also helps many organizations, programs, services, special events and homes for physically disabled persons, with the revenue from the gala. This time, the Gala is taking place at Fairmont Royal York Hotel, in the Canadian Room. The hotel is located close to the Union Station, which is really convenient for people coming by train or TTC. The Canadian Room is under 13,000 square feet, and one of Toronto’s biggest and gorgeous venues for a gala. It is the most versatile space and adapt to either for conference or event, with additional function rooms. The venue is featured by hand-carved original works of art, making the room elegant. At 6:00 p.m, the people will be welcomed at reception. After the reception, you can enjoy the live music, have wonderful drinks and interact with other attendees. At 7:00 p.m, you will be seated, and the fantastic dinner will start to be served to all attendance. You may enjoy the dinner, chatting with other attendants at your table. At 8:30 p.m, when everyone is almost finishing their dinner, all awards will be handed out and you will hear the impressive speeches. At 9:30 p.m, showtime will begin. This time the special guests will be the Caverners. With their perfect portrayal of The Beatles, they are a notable band and debuted in 1994.